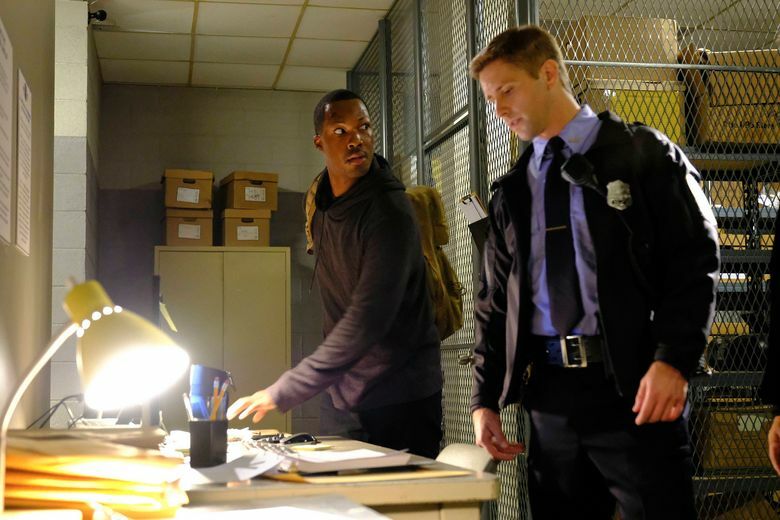 Corey Hawkins, left, stars in “24: Legacy,” airing after the Super Bowl on Feb. 5. “Legacy” introduces U.S. Army Ranger Sgt. Eric Carter (Corey Hawkins, “Straight Outta Compton”), who is six months removed from killing a terrorist leader in Yemen only to find his squad and their families targeted. Jack Bauer may no longer be around in Fox’s “24: Legacy” (premiering right after “Super Bowl LI” on Sunday, Feb. 5, then 8 p.m. Mondays starting Feb. 6), but the show feels largely the same as in the old days, just with new faces on board. “Legacy” introduces U.S. Army Ranger Sgt. Eric Carter (Corey Hawkins, “Straight Outta Compton”), who is six months removed from killing a terrorist leader in Yemen only to find his squad and their families targeted because one of the guys stole something from the deceased Bin-Khalid that his associates want back. Enter former Counter Terrorist Unit (CTU) chief Rebecca Ingram (Miranda Otto), whose U.S. senator husband (Jimmy Smits) is running for president while she tries to protect Carter and the other Rangers. “Legacy” introduces new CTU analysts, some of whom, in true “24” fashion, may or may not be moles. “Legacy” clings to the old “24” style with the ticking clock and multiple boxes on screen. Like the most recent “24” season, 2014’s “24: Live Another Day,” this one is also 12 episodes, so at some point there will be a time jump. Hawkins makes for a welcome new addition to the franchise, giving the show a less Job-like hero than the increasingly beset upon Jack Bauer (Kiefer Sutherland does not appear but remains an executive producer). But while this newcomer — and his relationship with an estranged gang member brother — marks a welcome effort to breathe new life into a wheezing franchise, most of the other storytelling elements feel overly familiar. Of course, there’s political friction! Boy, that guy sure seems like he could be a mole or is that overly obvious? Naturally Edgar Stiles’ cousin now works at CTU! Executive producer Evan Katz said the Eric Carter character brings a youthful idealism that hasn’t been seen in the lead “24” character previously. “We’re finding him in this instance at the beginning of his journey through CTU to what ultimately this season will bring him into becoming an agent,” Katz said. Hawkins said it was significant for him as an African American man to play the role. At least one character from the original “24” will return for “Legacy”: Tony Almeida (Carlos Bernard), who was last seen in prison.